Here's how you can use MobyMax to turn "Summer Slide" into "Summer Success"
Slides are great when they’re on the playground. But in the classroom? The “summer slide” that many students experience between the last day of one school year and the first of the next can cost students two months of grade level equivalency in math skills. And that’s not all; knowledge retention in every subject can be affected. That loss is hard on students, but it’s equally frustrating for teachers, who work hard to make every school day count. Thanks to the “slide,” they may as well have stopped teaching in April! 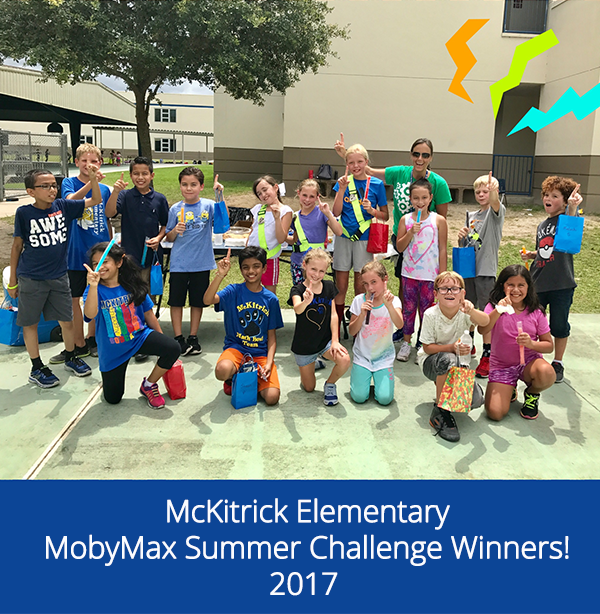 It’s no wonder so many teachers have started organizing MobyMax Summer Contests. Rather than just having students read through a few books or practice random multiplication tables, contests keep students from losing what they learned the previous year. In fact, with MobyMax, students actually gain new knowledge between June and September, enabling them to return to school raring to go. We're giving away $25,000 worth of class parties to 1,000 lucky teachers! Not only is this a fun way to end the school year, but you will be helping us improve our assessments. Your class party is our way of saying thank you. It's easy to participate and win - just follow the steps outlined below. To enter to win a class party, make sure your students complete a Math Benchmarker after April 15th, 2018. Fact Assessments For Addition And Multiplication! More great fact assessments have arrived at Moby! We just released a new set of assessments for Addition and Multiplication. These assessments test students' fact knowledge for numbers 0-12. Fact Assessments For Subtraction And Division! Learning basic facts is key to a student's success in advanced math. That's why we've released a new set of assessments for Division and Subtraction! These assessments test students' fact knowledge for numbers 0-12. Subtraction and Division Skill Checker have a wide range of tests; some evaluate students on just one fact, while others test a range of facts. 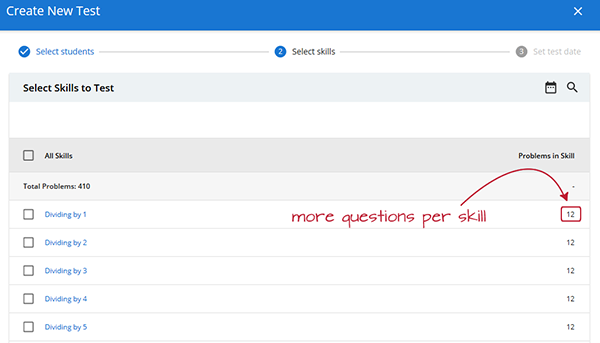 With more questions per skill than our Math Skill Checker, you'll have a better sense of exactly which facts your students need to practice. 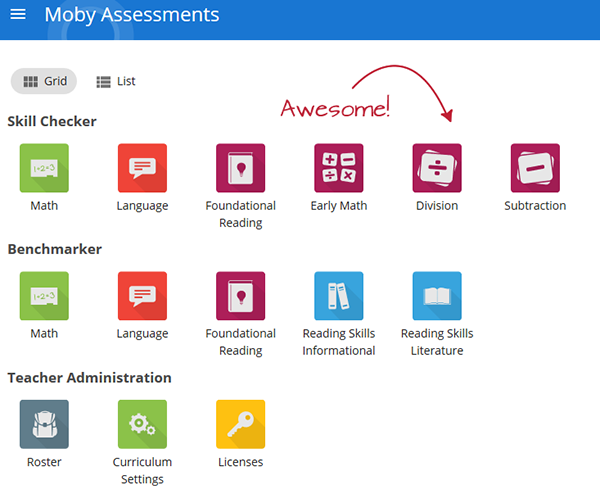 All the reports you rely on in Moby Assessments are right here with Subtraction and Division Skill Checker. Check out your results by student, skill, or individual test! Addition and Multiplication Skill Checker are just around the corner! Stay tuned, and we'll keep you updated with more great Moby news. We just released an awesome new way to assess your early learners: Early Math Skill Checker! These assessments test students on introductory math concepts, such as counting and cardinality, number sequencing, the relationship between numbers and quantities, and number object correspondence. Just like other Moby Assessments, these new tests are aligned with CCSS. Big Additions To Skill Checker And Benchmarker Assessments! More great assessments are headed your way. 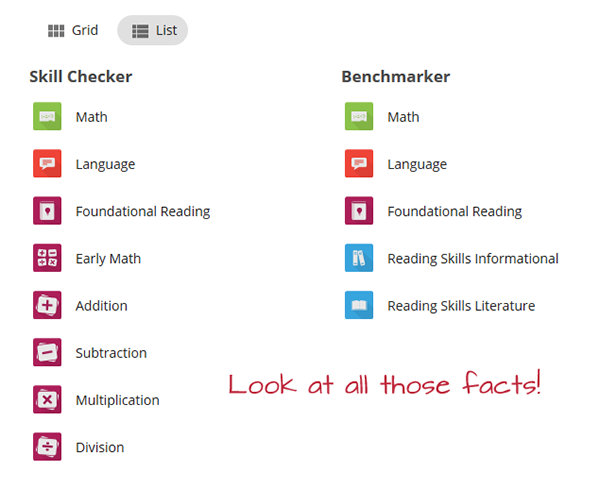 Please welcome Reading Skills Informational Benchmarker to the MobyMax family of modules! Has MobyMax cracked the code on inspiring and engaging gifted and talented students? 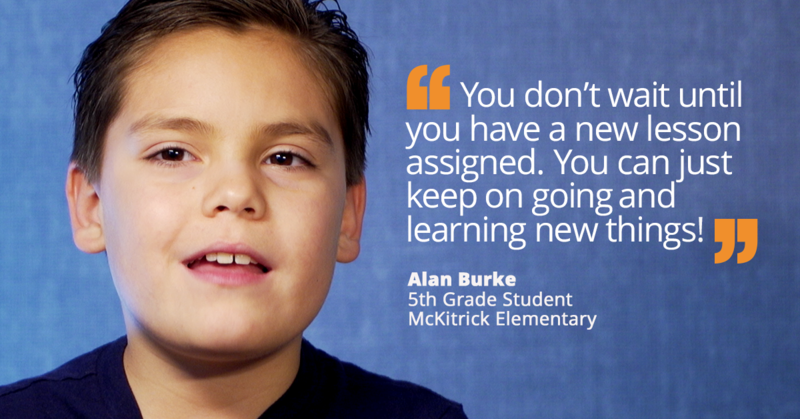 After you watch a new video featuring AGP students at McKitrick Elementary School in Florida, you’ll see that is indeed the case. 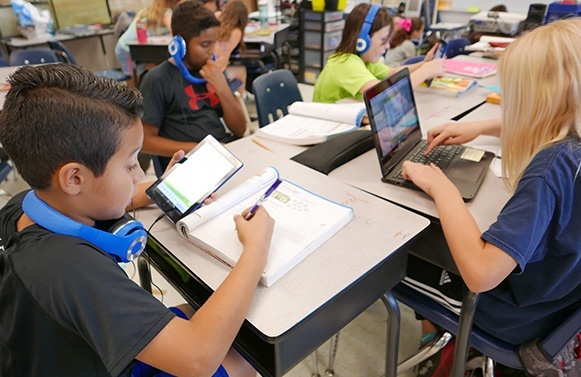 The video showcases several gifted students, along with teacher Chris Godshall, who explain, in their own words, how Moby Math enables them to learn better, faster. We know teachers are always on the lookout for the best ways to assess their students' reading. Identifying critical reading skills gaps at an early age is the first step to ensuring that students are strong readers for life. 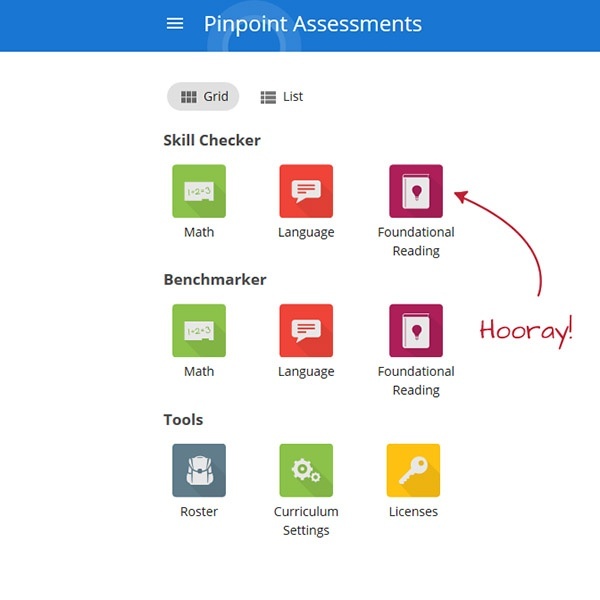 To help build up a classroom full of great readers, we have released a new subject in Pinpoint Assessments: Foundational Reading! 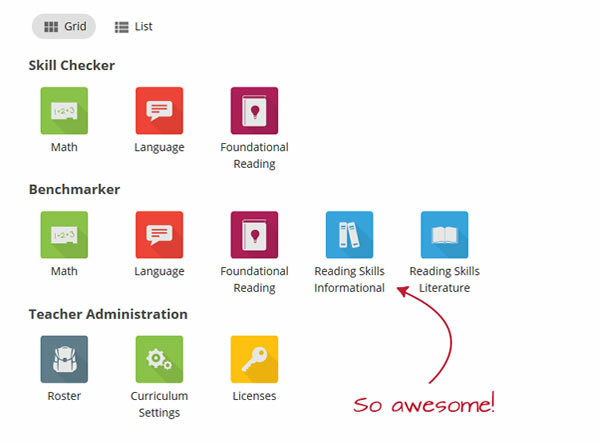 Aligned with CCSS, Foundational Reading Skill Checker and Benchmarker allow teachers to comprehensively assess their students' reading skills. Monica Contreras, that’s who! Contreras is a 3rd grade teacher at McKitrick Elementary School and one of many who rave about how effective MobyMax is. You can hear her story in this brand-new video. The video is only four minutes long, so it’s short enough to catch during your lunch break. However, it’s long enough to capture the enthusiasm that three teachers, a principal, and one adorable second grader have for the MobyMax approach to learning. 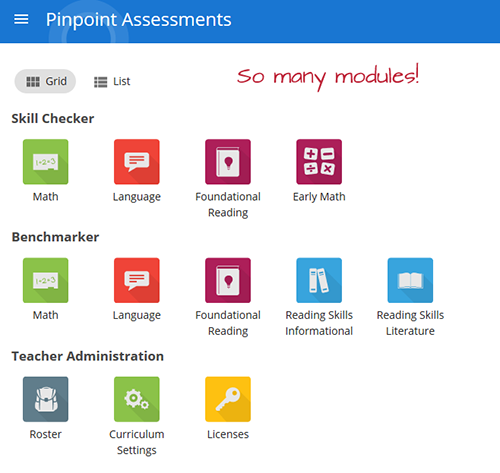 New Options for Pinpoint Assessments! In Pinpoint Assessments, you now have even more ways to assess your students in the way you see best fit. For Benchmarker tests, teachers now have the option to only include standards that were not passed on a previous Benchmarker test. On Math Benchmarkers, teachers can also choose between long (about 90 minutes) and short (about 45 minutes) tests.